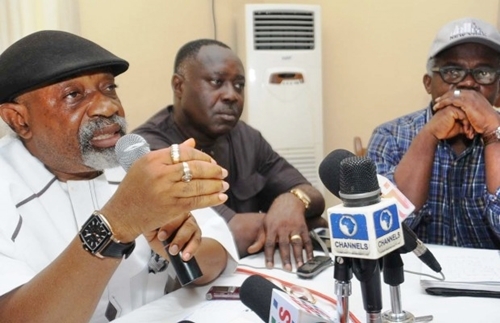 On the 40th anniversary of the Nigerian Labor Congress (NLC) in Abuja on Monday, Labor and Employment Minister Senator Chris Ngige assured the entire Nigerian workforce that the new salary national minimum would begin at the end of September 2018. According to The Tribune, the minister who spoke silently to the federal government announced that he would announce the new minimum wage by the end of the third quarter, in September. The Minister said: "In view of the federal government's determination to achieve the decent work agenda that includes opportunities for productive work and a fair income, workplace safety and social welfare for families; There have been overtime, three minimum wage reviews, and the tripartite national minimum wage committee is currently reviewing the current minimum wage. "The memoranda received from the competent bodies are people to determine a new minimum wage for the nation.In the third quarter of this year, a new minimum wage will be announced for the country." He appealed to the workers for more time and understanding, as the government wants to ensure respect for all state governments. Ngige said, "Better late than never because some state governors still have to pay the current N18,000 minimum wage to workers, so we ensure that all stakeholders are present and announce the new minimum wage at the right time. "But I can assure you that the third quarter is the maximum period announced for the new minimum wage."